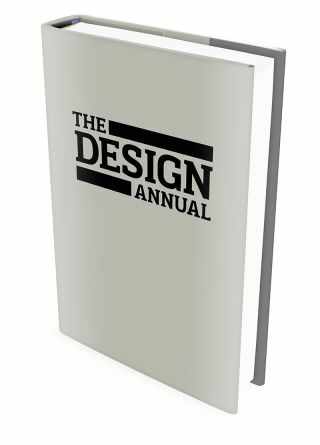 Get your limited edition Design Annual today! This 224-page casebound book captures the year's design highlights in stunning detail. The Design Annual is a beautifully presented 224-page book, showcasing the very best work and trends from the last 12 months. Compiled by the editors of Computer Arts, net magazine, 3D World, and Creative Bloq, this book highlights award-winning work from around the world, in the fields of typography, print, branding, graphic design, packaging, web design, illustration and more! This casebound book provides the perfect overview of the year’s finest work, and will inspire you for years to come. For a limited time, this book can be purchased for £35/$45. And with a limited print run of just 500 copies, be sure to pre-order your copy now to avoid disappointment. *Please note, the price will revert to the RRP of £40 / €49 / US$52 on 15th December 2016 after the 'pre-order promotion' has come to an end. Prices include delivery. Cover is for illustrative purposes only, actual cover may differ slightly.